Working in tandem with faculty, staff, and students in Boston, the HMS center in Dubai is a pivotal extension of the School's commitment to alleviating human suffering caused by diseases worldwide. The center enables HMS to focus on a critical step in health care delivery—how to implement modern medicine in capacity- and resource-limited settings. Countries in the Middle East, Asia, and Africa face significant challenges to improve patient health and well-being, particularly for preventable and treatable diseases. Dubai Healthcare City provides an important operational base to embark on such complex health interventions. 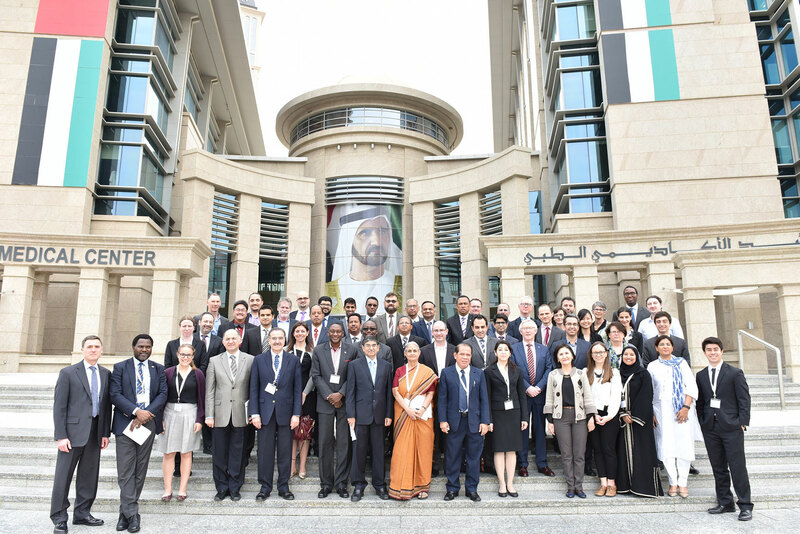 The center’s director, Salmaan Keshavjee, and executive director, Jennifer Puccetti, work closely with the faculty, fellows, and staff teams in Dubai Healthcare City and Boston to guide the research, education, and training programs. Focus on diabetes, obesity, infectious diseases, mental health, and access to surgical care. Educate and train the next generation of scholars and practitioners through fellowship programs, scholarships, research awards, internships, and coursework. Conduct and publish research on innovative approaches to addressing critical health issues and improving global health delivery. Formulate, discuss, and analyze policies through workshops, conferences, and events that provide practitioners with the systems and tools to alleviate human suffering. This project operates under our legal entity, HG Gulf FZ LLC, which enables us to support activities related to medical research and education in Dubai Healthcare City. For HMS, we provide our standard suite of services for office administration and employment, as well as undertake work unique to this project, including registering as a Free Zone Company within Dubai Healthcare City and acting as the entity's general manager on an interim basis.